Former first lady Barbara Bush died at her home in Houston, Texas, at the age of 92 Tuesday night. The 33rd first lady of the United States met her husband, George H.W. Bush, at a Christmas dance at the Round Hill Country Club in Greenwich, Conn., in 1941. They ended up marrying four years later on January 6, 1945. The couple went on to being married for 73 years — the longest marriage of any president in U.S. history. Bush is one of only two women ever to be the wife and mother of presidents. 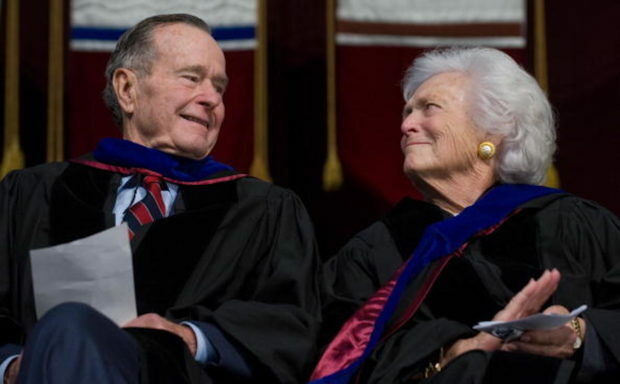 The two had six children: Dorthy Bush, Marvin Bush, Neil Bush, former Florida Governor Jeb Bush, Pauline (Robin) Bush and former President George W. Bush. Their first daughter, Pauline, who was born in December 1949, died of leukemia at age three. After leaving the White House, Bush dedicated her life to the cause of literacy, raising more than a billion dollars for charity with her husband since leaving office in 1993. Bush wrote a children’s book, “C. Fred’s Story,” in 1984 and donated all proceeds to literacy charities. 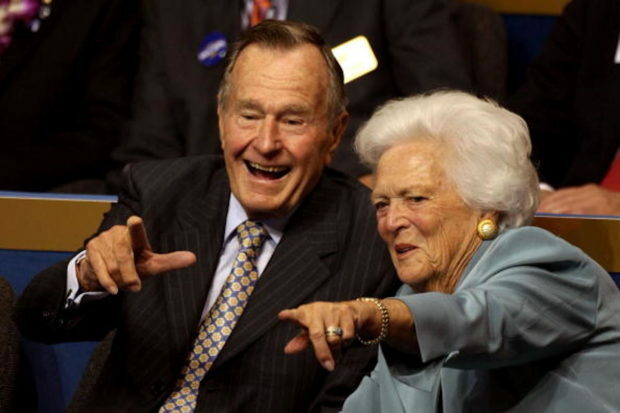 Bush was born on June 8, 1925, in Manhattan, N.Y., where parents Pauline (Robinson) Pierce and Marvin Pierce raised her. She grew up with two older siblings, Martha and James, and a younger brother named Scott. At a young age, Bush attended Rye’s Milton Public School and Rye Country Day School in N.Y. before enrolling in Ashley Hall, a boarding school in Charleston, S.C., in 1940. When Bush was 16, she met 17-year-old George H.W. Bush at a school dance. They were engaged at First Presbyterian Church in Rye, N.Y., a year and a half later. 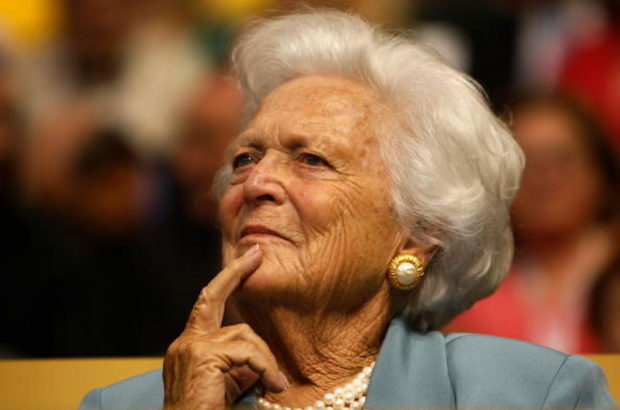 Bush focused on literacy issues and created The Barbara Bush Foundation for Family Literacy during her tenure as first lady. The foundation donated over $40 million as of 2014 to create or expand more than 1,500 literacy programs nationwide, according to CBS News. “The American Dream is about equal opportunity for everyone who works hard. If we don’t give everyone the ability to simply read and write, then we aren’t giving everyone an equal chance to succeed,” Bush said in a statement on her website. “Focusing on the family is the best place to start to make this country more literate, and I still feel that being more literate will help us solve so many of the other problems facing our society,” she wrote in her memoir released in 1994. As first lady, Bush also wrote another children’s book, “Millie’s Book: As Dictated to Barbara Bush,” which raised nearly $1 million for literacy programs. 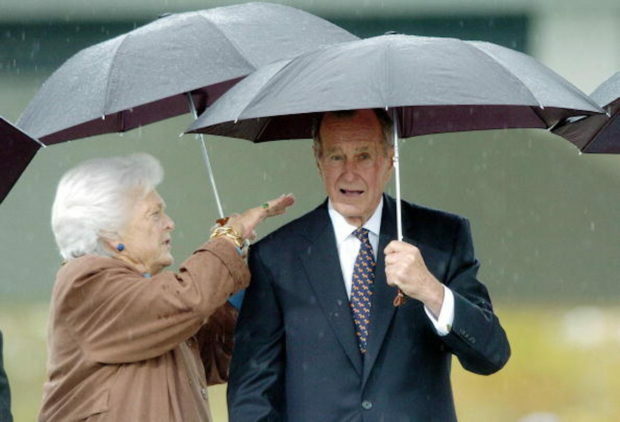 Bush had been battling problems with her health for several years and was hospitalized multiple times throughout the past decade for a variety of different issues. Barbara Bush would not seek additional medical care, after a series of recent hospitalizations, a Bush Family spokesman announced on April 15. In 2017, the two were unable to attend President Donald Trump’s inauguration because they were both hospitalized with separate conditions. Jenna Bush highlighted her grandparents’ relationship in a “TODAY” interview before her grandmother died, saying she was surrounded by family and her husband of 73 years. “She’s with my grandpa — the man she’s loved for over 73 years. They are surrounded by family, but I think the fact that they’re together and that he still says, ‘I love you, Barbie’ every night is pretty remarkable,” she said.